The 26th August event was organized by the Ministry of Agriculture staff in Molo district at Sechangwan. 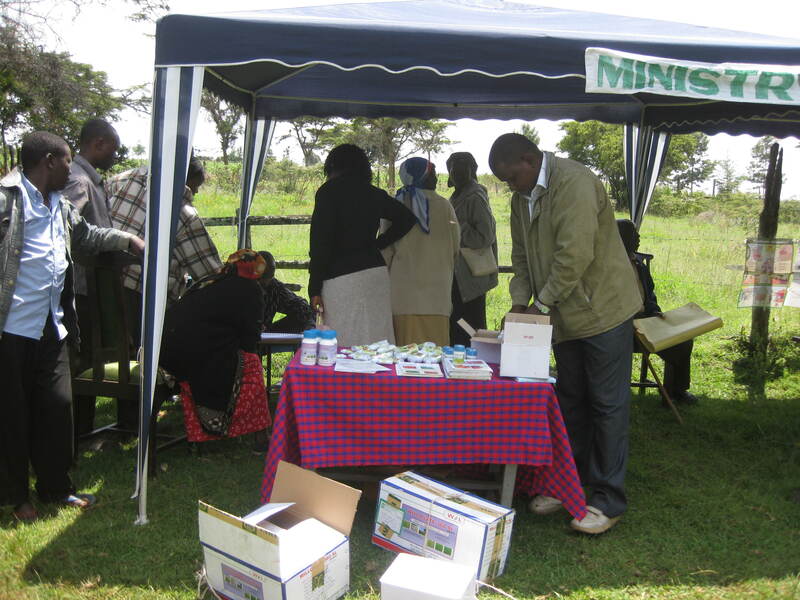 132 small scale farmers drawn from Mukinyai and Sachangwan villages attended the field day. Exhibitors during this event included: the Ministry of Agriculture, Baraka Agricultural College, East African Chemicals, Mburi self help group and Network for Ecofarming in Africa (NECOFA). 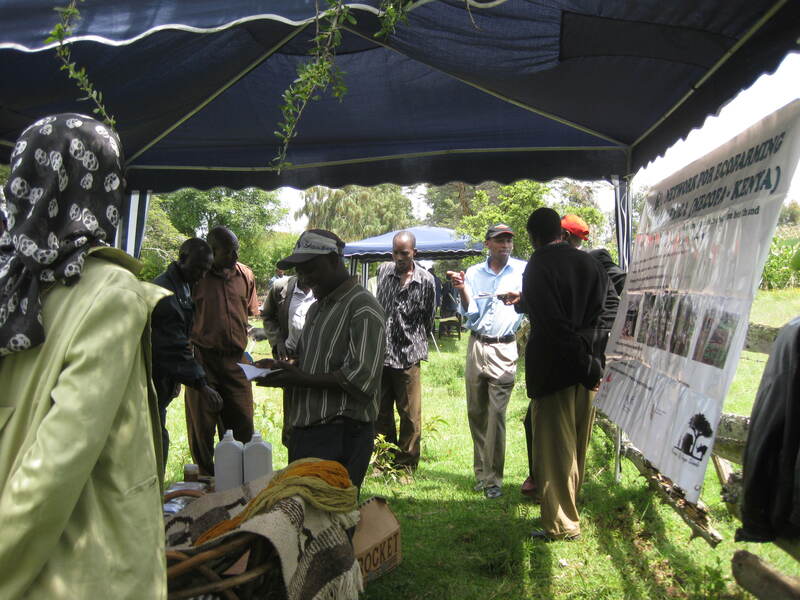 The exhibition was rich, timely and appropriate for the resource poor small scale farmers who were very determined to learn more on sustainable agriculture despite of the interruption by heavy rains during the event. 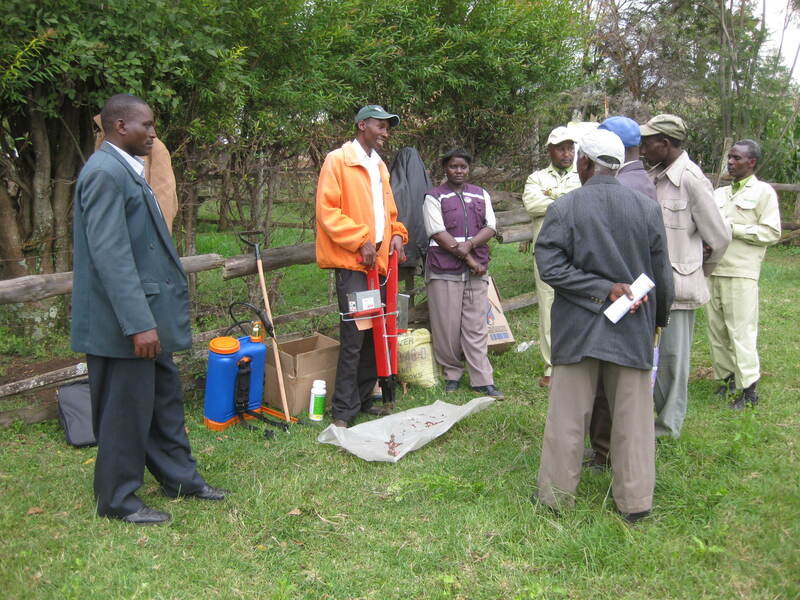 It included training on use of farm chemicals which are appropriate for high yields. They also had an opportunity to learn on use of simple farm equipments e.g. planting machine. 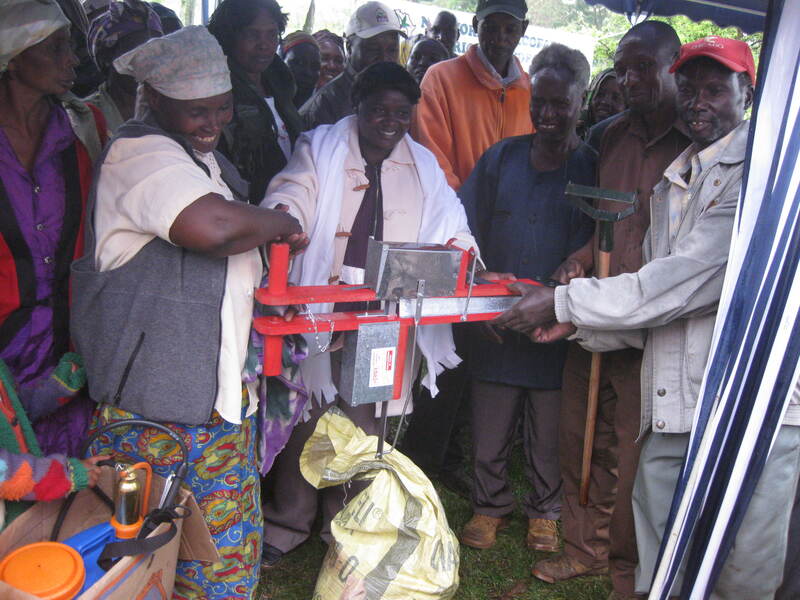 Mburi Self Help Group one of the active groups was lucky to receive some of equipments and seeds from the Ministry of Agriculture and Baraka College to pilot on conservation agriculture in the area. Our exhibition as necofa zeroed on low cost bio-intensive agriculture that involves conservation agriculture, use of organic fertilizers eg Hyax. Participants were also introduced to some necofa health food products (that based on indigenous foods) and included stinging nettle and rich porridge flour (with stinging nettle, grain amaranth, sweet-potatoes, sorghum, finger millet, groundnuts, oats, barley, bull rush millet and maize meal). Participants were also informed of the rich and untapped potential in wool sheep production not only for meat but also for wool. Skills on spinning, weaving and knitting wool as well as finished wool products were also exhibited.